Five sterling silver strands make up this delicate choker necklace by Idit Jewelry. In a sleek, modern take on the silver choker necklace, Idit Jewelry creates this lovely choker from five gossamer strands of 925 sterling silver. The strands intertwine and hug the wearer's neck for a simple, elegant necklace that can easily go from day to night. No extra ornament is needed! Anyone who appreciates simple sterling silver jewelry or silver strand necklaces will love this piece. 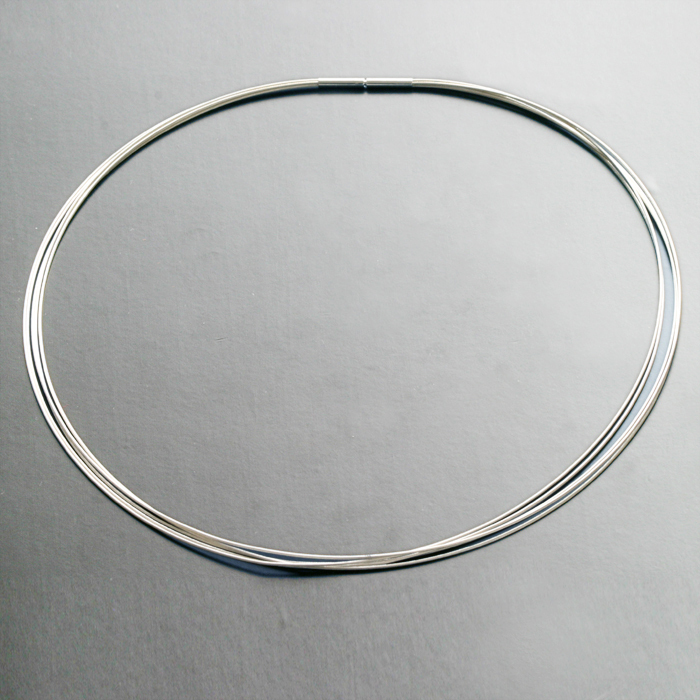 The silver choker measures 17 inch (42 cm). Pieces from Idit Jewelry are handcrafted by Jewish artisans in Israel. Idit Jewelry makes a great gift for people who love handmade designer jewelry and keep up with trends in contemporary Israeli jewelry design. Items like this necklace also have a broad appeal among fans of simple, understated sterling silver jewelry. A must for any collection of silver accessories!